"It's very emotional seeing her loving other animals." This little white kitten named Blanquis may still be less than a year old, but she already knows better than most what it means to have an open heart. In fact, you might say she's paying it forward. Last December, Yessica Rodriguez found Blanquis stranded on the streets near her home in Altamira, Mexico. 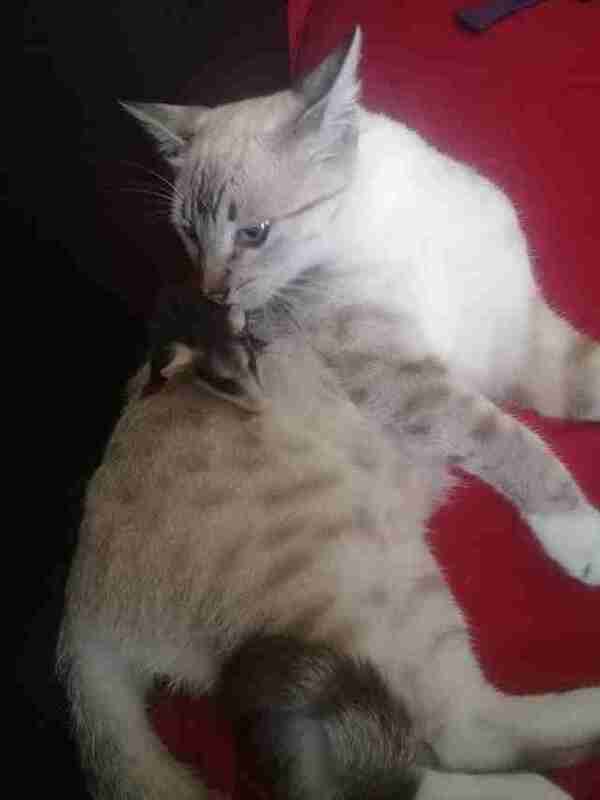 The kitten was so young at the time, her eyes had yet to even open — so Rodriguez took it upon herself to fill in for Blanquis' mom, raising her as a member of the family. Blanquis has blossomed into a beautiful youngster, and she had apparently taken note of the love that made that possible. Rodriguez was preparing for work last Friday morning when she heard her husband calling out to her with a surprising announcement. "He said, 'You have to come down here,'" Rodriguez told The Dodo. 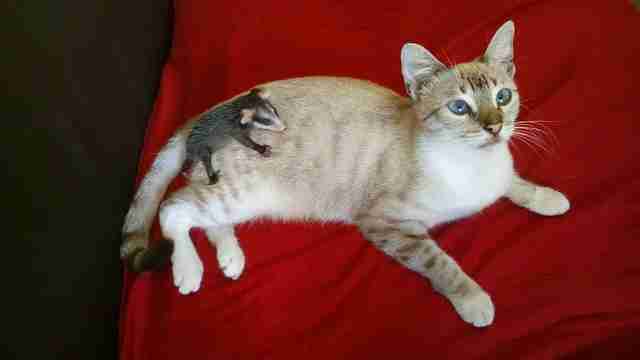 "'Your kitten has an animal on her back!'" Rodriguez couldn't believe her eyes. Indeed, Blanquis suddenly had a tiny passenger. 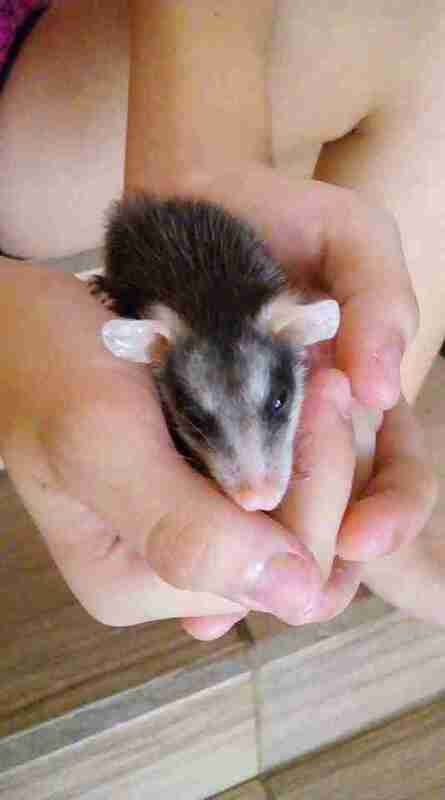 "Much to my surprise, it was a baby opossum," Rodriguez said. 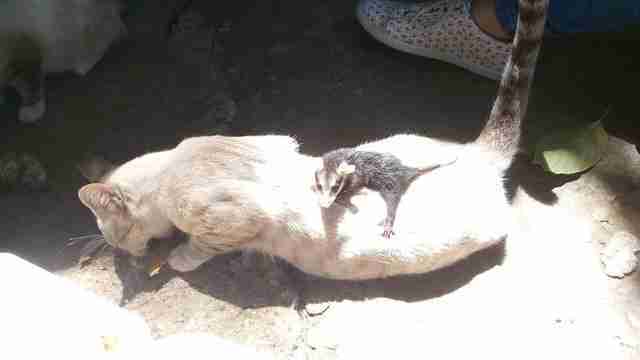 It's unclear where exactly Blanquis had discovered the baby opossum, or how he came to lose his mother, but the little guy was clearly in need of a parental figure. 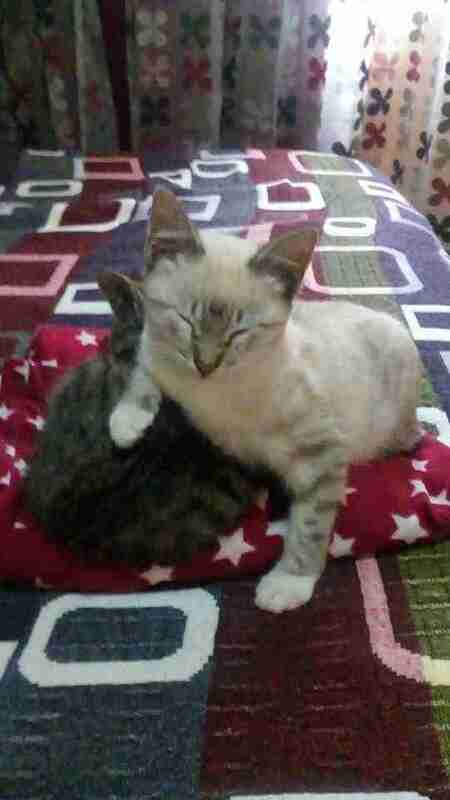 So, Blanquis had evidently allowed him to climb upon her back and carried him to the safety of her home. "I know that this is how their mother transports them," Rodriguez said. "Blanquis brought him to me." Rodriguez reached out to a wildlife specialist to learn how to care for the baby opossum until he could be placed under expert care. For Blanquis, however, filling in for the mama opossum seemed to come naturally. Blanquis isn't able to feed the opossum herself, but she still dotes on him as if he were her own. "She licks at him as if it's nothing," Rodriguez said. "It's very emotional seeing her loving other animals." 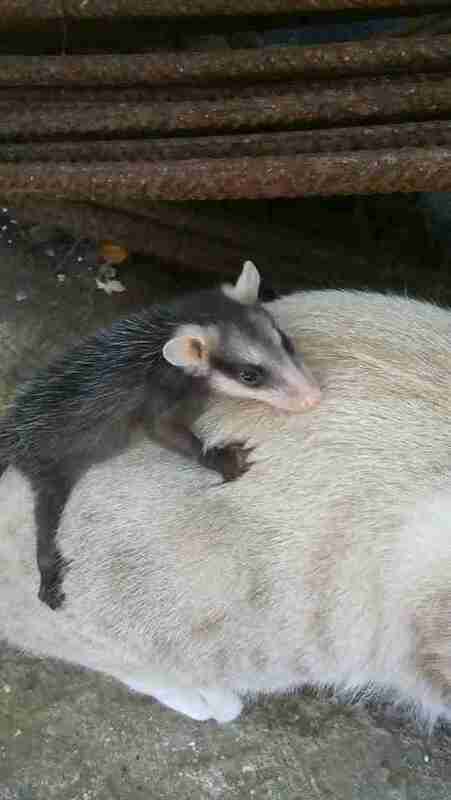 Although the baby opossum will likely only be with them temporarily, seeing Blanquis save him and keep him cozy and safe for the time being has been a powerful experience for Rodriguez — knowing the kitten is continuing the legacy of love that began with her own rescue. "It feels to me like a token of appreciation. It is very tender," Rodriguez said. "We love Blanquis very much. She is very special."